The DJ for music lovers. If you are looking for a professional DJ in Memphis, TN and the Mid-South, look no further than DJ A.D! Put us in charge of the dance floor at your wedding, class reunion, corporate event, house party, Bar Mitzvah, ANYTHING! We deliver good times via good music! No matter what your musical tastes may be, we've got you covered. It's what we do! We can provide all sound equipment needed to fuel the dance floor, as well as microphones and lighting. We will have a set-up with a neat, aesthetic appearance, and we will meet with you free of charge prior to your event to discuss any personalized requests or concerns. There are many important elements to be considered when planning an event. To some, picking a DJ may not seem like a very vital decision, but it can definitely take an event from good to GREAT! Don't condemn your guests to a generic, playlist DJ. DJ A.D.'s musical knowledge spans past the current Top40, and she always knows the next song to play to keep people dancing! If you hire DJ A.D. you will never be left feeling like you could have just made a playlist and let it run. Being a great DJ takes creativity and experience. 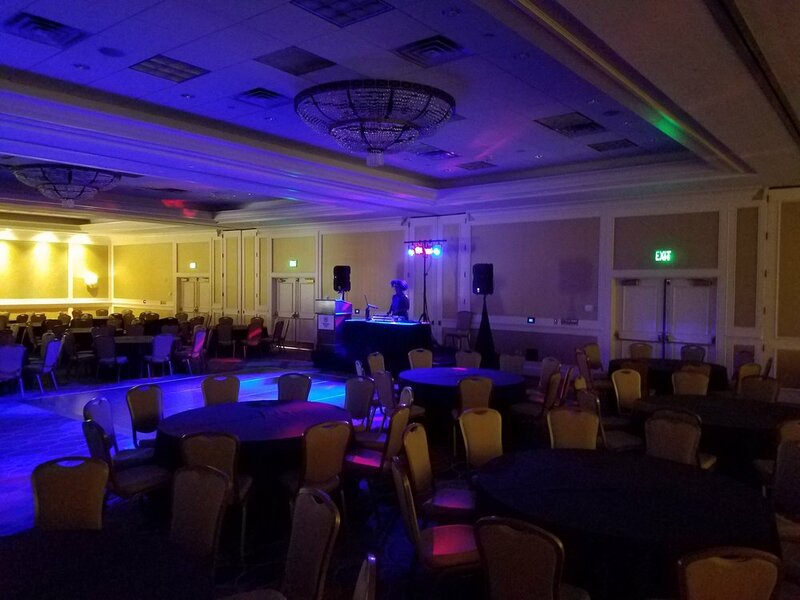 If you want to hire a DJ with a personality and a passion for mixing, we can provide anything from background music to music that fills the dance floor. A.D. was born and raised in Memphis, TN. She has been mixing music for nearly 20 years, and has started renting out her services within the last few. House Music/Dance Music is her favorite genre to play when she is having fun. She is excellent at putting her own "spin" on a mix which gives her a unique flair that makes her stand out from the rest. AD is a full-time personal trainer and fitness instructor at Germantown Athletic Club, but her passion is and always has been music. She has been creating specialized mixes for her fitness classes for over 15 years! Her fitness classes are regularly filled because the energy she can provide through music makes people enjoy the work-out. This energy she brings to her classes is the same energy she can bring to the dance floor. AD also is contracted to DJ regularly at Mollie Fontaine Lounge located in the Victorian Village district. Mollie's is PACKED on the first Saturday of every month. People know that they can expect to dance and have a great time. If you are interested in hiring AD for a private event, this would provide an excellent opportunity for you to see her DJ before your event. For a listing of upcoming events, click here. A brief overview of some of AD's DJ experience and notable events. We can take care of the music and everything that goes along with it! We have sound equipment, event lighting, fog machines, and microphones. All of our equipment is also available to rent. Make your special day especially memorable. Throw the office party that no one forgets, or provide an evening for clients that makes your company stand out above all others. Great music can set the tone for the success of any event. From a class reunion to a good ol' house party. Let us help create those memorable moments that people will talk about for months. Follow me on Facebook for more information, photos, and upcoming public events. For my Private Events page click the link below. For the DJ A.D. Facebook page and to find my local events click the link below.